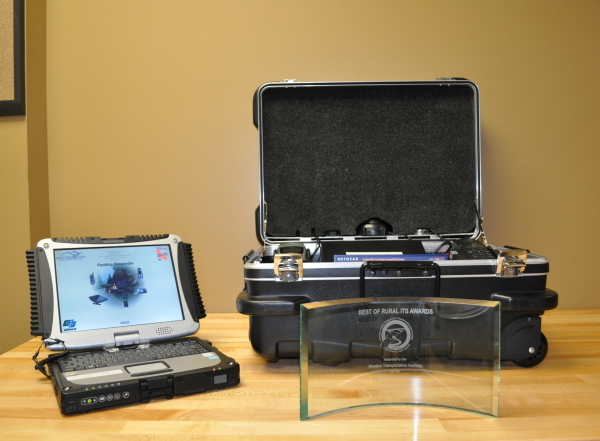 The Responder System won the 2010 Best of Rural ITS Award for Best New Innovative Product, Service or Application. The award was announced during a special presentation of the opening session of the 2010 National Rural ITS conference held in Huntington, West Virginia, August 1st-4th. This award program is the only one of its kind in the world that recognizes the best and brightest of the rural ITS community. Doug Galarus gave a quick overview of the Responder project and accepted the award. 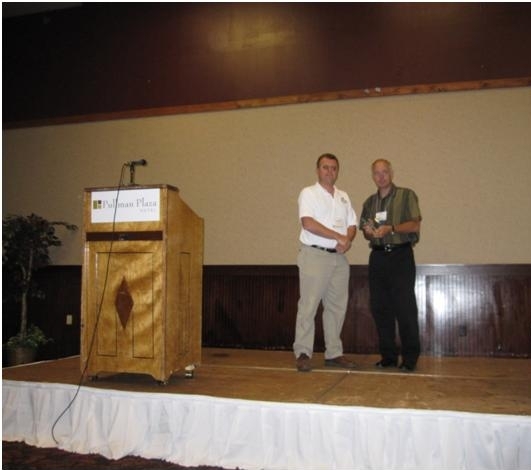 Here is Doug accepting the award from Steve Albert, Rural SIG Chair and Director of the Western Transportation Institute.